My name is Reid Strickland and I am a senior at Dallas Baptist University. My hometown is Waco, Texas and I am majoring in entrepreneurship. After graduation I plan first to go out and get a business job of some sorts in order to get experience under my belt. In five to ten years after graduation and after getting some experience, I would like to open a coffee shop that is mission oriented. I believe there are plenty of ministries that offer opportunities to kids who love and participate in sports however, I have rarely heard of any ministries that target kids who love the arts. Therefore, I would love to have concerts and art shows and miniature film festivals for kids to showcase their talents at this coffee shop. By being involved directly and hiring at least a few believers, my goal would be to speak truth into these young people’s lives. I hope to use this coffee shop to strengthen a community and empower the next generations. To help them be heard and seen, not tossed to the side or ignored. The thing that I am most looking forward to in my internship with the Lion’s Den DFW are the networking opportunities. I have heard so much about all the incredible business men and women who will be attending the event. 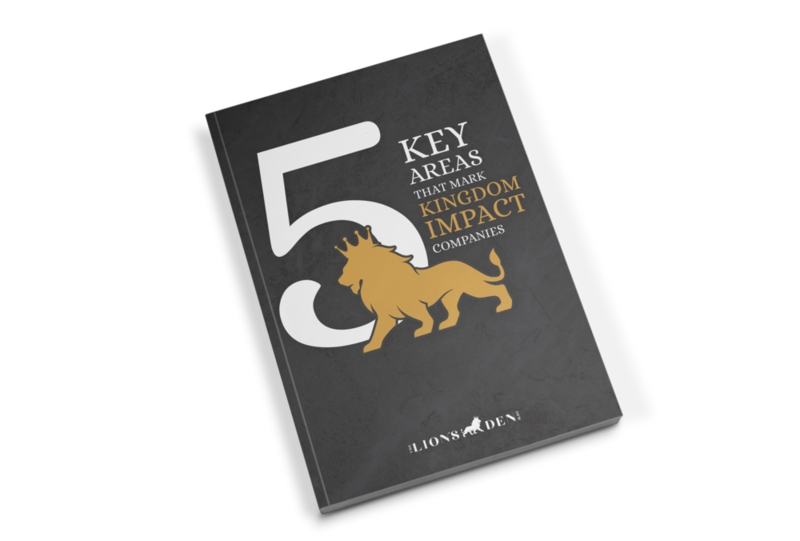 I have even already had the opportunity to meet and get to know a few members of the leadership committee for the Lion’s Den, which is made up of only men and women who have done great and impactful things for the Kingdom and the business world. This internship will be a wonderful occasion for me to put my name out there and learn from the best of the best. The most impactful thing so far in this internship has been the opportunity given to me to exert my professionalism and step into what it means to be an adult in the business world. Let me tell you, it is an exciting place to be! This internship allows me to put into practice things that I have learned while in college and also actually be an adult, not just a student. I am networking and being bold by introducing myself to complete strangers. I am marketing and learning how to target certain groups of people. I am learning what things I am good at in the business world and what things I need to improve upon. This has been an incredible opportunity so far and it has only been four weeks.